Whether you're a novice coming across mushrooms by chance while hiking or camping, or a seasoned hunter looking for the perfect addition to a well-curated dish, shroomID serves as a trusty handbook to help its users discern all type of fungi. 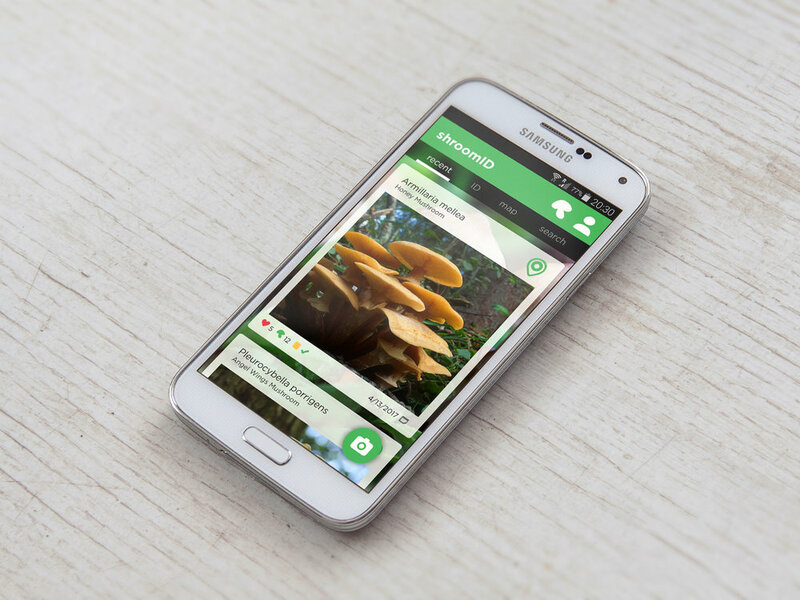 Meant for mushroom hobbyists and novice campers alike, shroomID's accessibility replaces paper guides that may not always be readily available or updated with modern classification information. I started designing shroomID as a geocache-inspired answer to mobile mushroom identification. Websites designed to help with mushroom IDing load poorly (if at all) on mobile devices, which are often the only way to look up information in the field short of owning a paper guide. Preexisting apps seemed clunky and ill-designed - they didn't create an environment meant to build a userbase that would promote exploration in the same way as geocaching does. In hopes of promoting outdoor activities, safety, and great (often vegetarian) cuisine, I wanted to design shroomID for anyone with an interest in mushroom hunting and collecting.